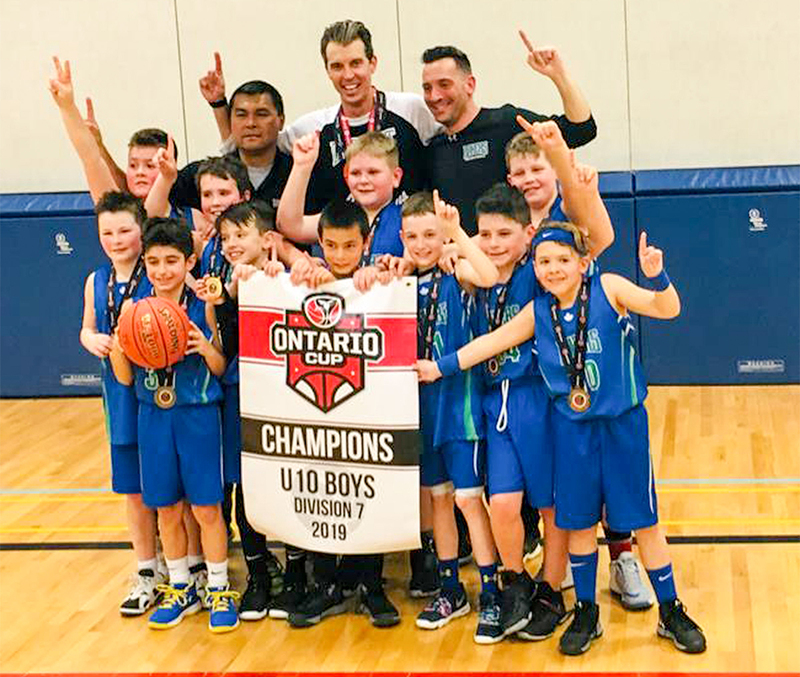 The Huron Lakers U10 novice boys’ team came back from a 10-point deficit in the final to win gold in their division at the Ontario Basketball Association championships in London on March 24. It was the third straight year the team has won a provincial medal. From left are, front row: Georgios Tsapralis, Evan MacSweeney, Nolan Wu, Grayson Levy, Jace Dillon and Ethan Anderson; second row: Declan Canning, Jack Charlton, Lochlan Kennedy and Cruz Boyle; back row: Cash Boyle, Coaches: David Wu, Conor MacSweeney, Mike Levy.